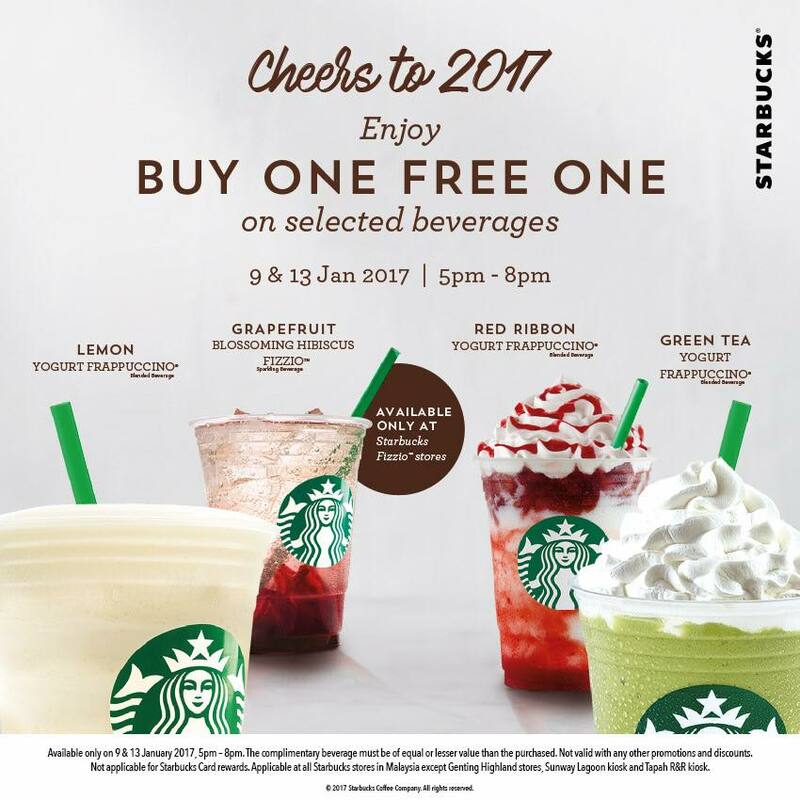 Available only on 9th and 13th January, from 5pm to 8pm. The complimentary beverage must be equal or lesser amount than the purchased. Not applicable for Starbucks Card rewards. Applicable at all Starbucks Malaysia stores except Genting Highland stores, Sunway Lagoon Kiosk and Tapah R&R Kiosk.